Unless you’ve been living under a rock, you’ve probably heard about cryptocurrency. At the very least, you’ve probably heard about Bitcoin, the darling of the cryptocurrency universe that recently made billionaires of the Winklevoss twins. But while you may have heard of cryptocurrency, I’m willing to bet that you can’t name another cryptocurrency besides Bitcoin. The idea of cryptocurrency is sweeping the country and, indeed, the world at large. 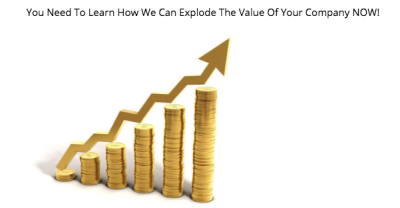 But individual cryptocurrency companies actually have a hard time breaking through the noise and getting the kind of public awareness they need to drive demand and, ultimately, higher prices for their currency. That’s a problem that Digital Currency Growth is trying to solve. Digital Currency Growth, or DCG, looks to solve this problem by connecting cryptocurrency clients (of which the company has two so far – Cloud Coin and Crypto Improvement Fund) with thought leaders and influencers who can spread the word through their social networks. The firm offers other services as well, ranging from market research and business consulting to web development and online marketing. A somewhat unexpected edge to DCG’s business model: the company accepts payment for their services in the form of their client company’s currency. “We accept payment our clients’ currency because we’re confident in our ability to move the needle for them,” says Cefail. “We’re literally putting our money where our mouth is. The approach appears to be paying off. 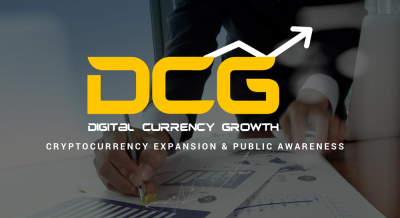 In the scant 40 days since they opened up shop, DCG has cleared 17M coins to date – and has already distributed 13M coins back to investors, which, the company emphasizes, fuels the growth of their clients. Now, DCG is opening the digital currency revolution to yet more people by giving the opportunity to become part of the DCG story. The firm recently launched a crowdfunding campaign through the platform TruCrowd to allow them to build on the momentum they have already built. “The Digital Currency Growth team is excited to have launched this crowdfunding campaign as we look to expand our horizons and help more digital currency companies achieve their goals, while at the same time giving more people the opportunity to become part of the digital currency revolution,” Mr. Cefail said.